Only a couple of weeks after the last Dreamhack in Germany, the next event is just around the corner. It's taking place in Las Vegas in the Horizon Theatre, where an incredibly high quality Lineup of only the very best CS:GO Teams will battle for a respectable prize pool of 450.000 USD. There are 4 spots reserved for European teams, 3 for American teams and one for a Chinese Team. The Dreamhack Las Vegas is the last big tournament before the CS:GO IEM Katowice 2017. 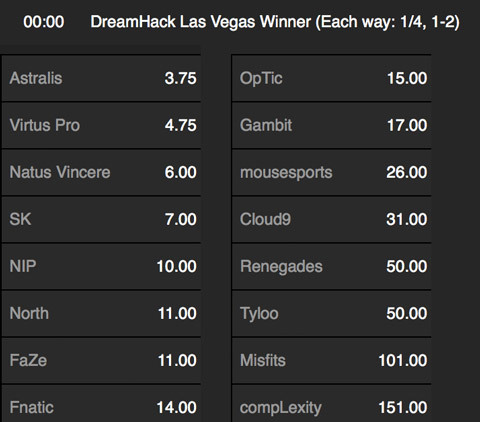 There are already some CS:GO bets available. Prove your knowledge about the pro-scene and spice up your Counterstrike-experience, winning real money. 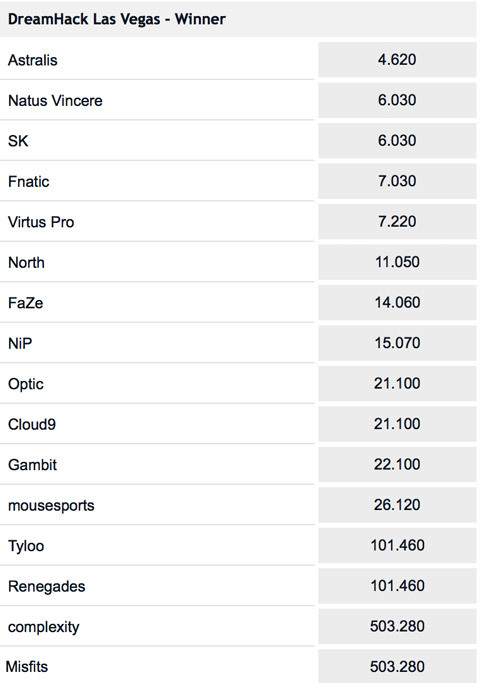 Get more information about CS:GO betting sites here! Playoffs: Single-elimination, Best of 3. On bet365 there are already bets available, which are Outright Winner and Region of Winner. We expect some more betting options to be added until the start of the event. There are also some bets available on betway. Get more information about Betting sites and CS:GO betting. You can watch all games of the DreamHack Las Vegas 2017 live from home via Livestream.